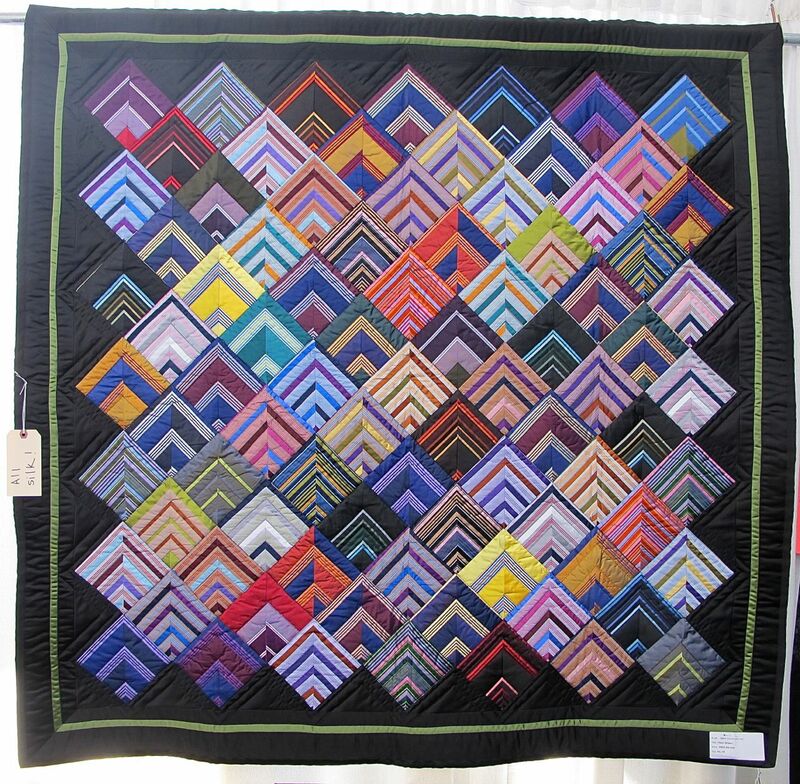 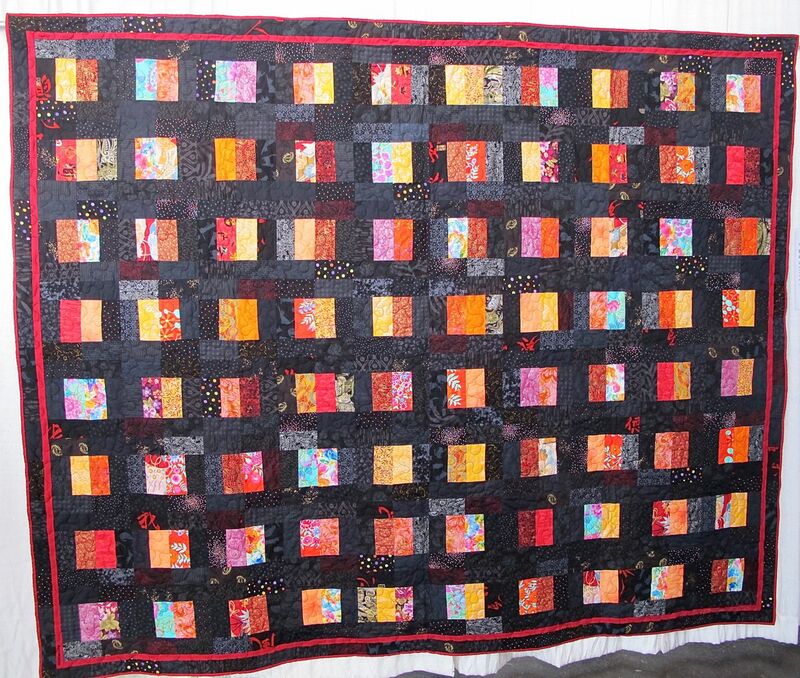 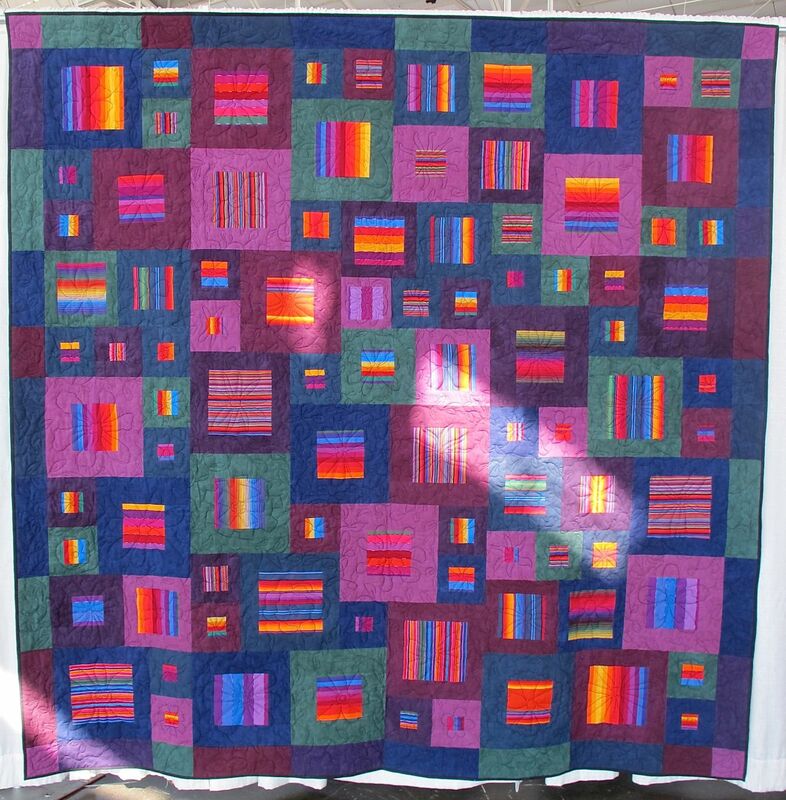 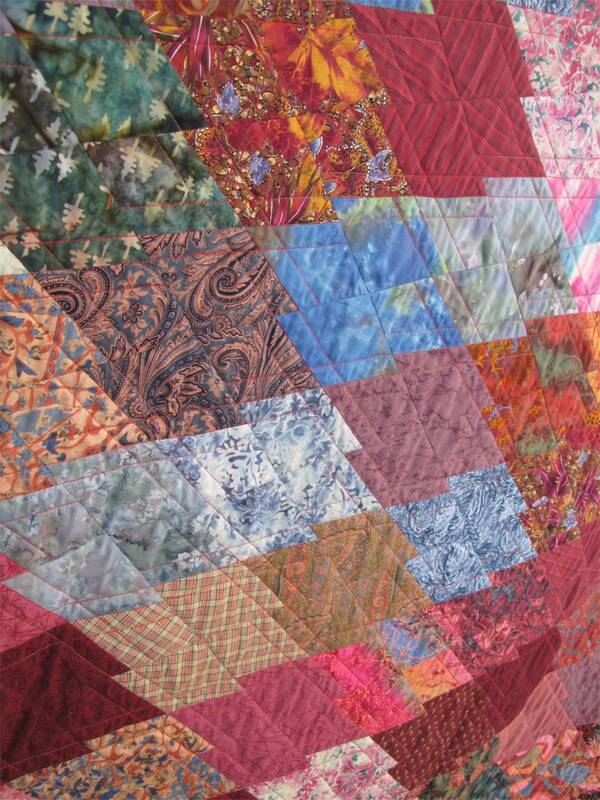 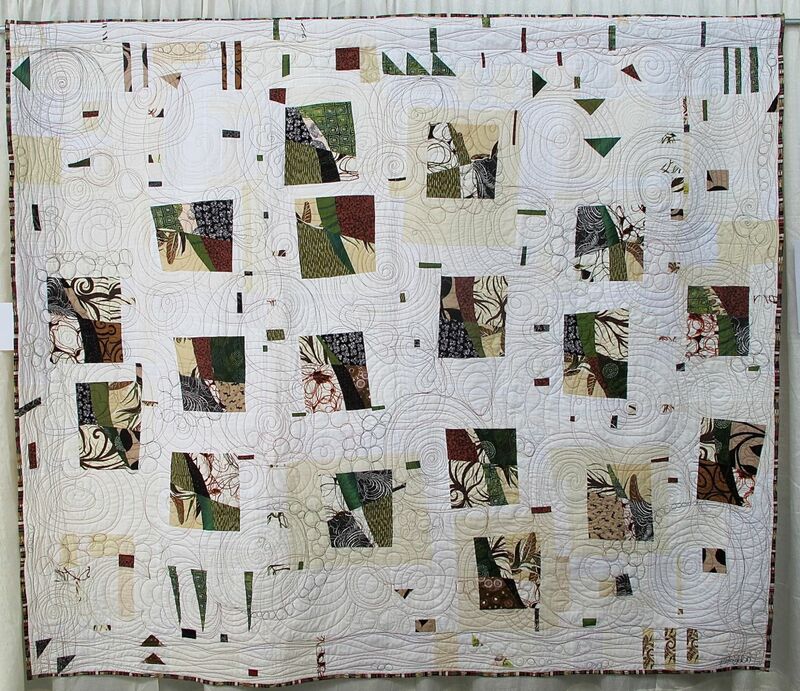 Love this quilt! 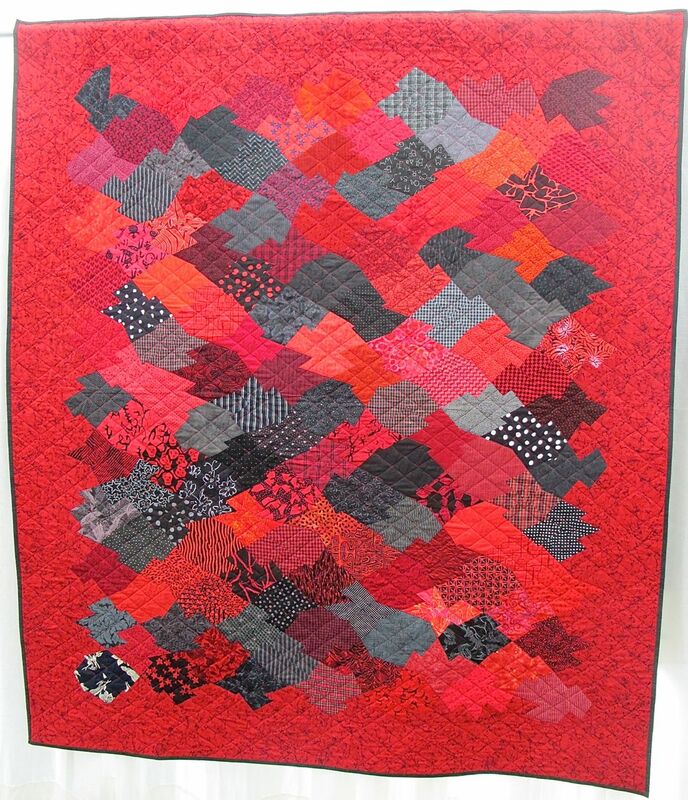 Called Shattered, Tiffany Hayes of Needle in a Hayes Stack designed this new pattern using Pop Rox and I couldn’t be more impressed! 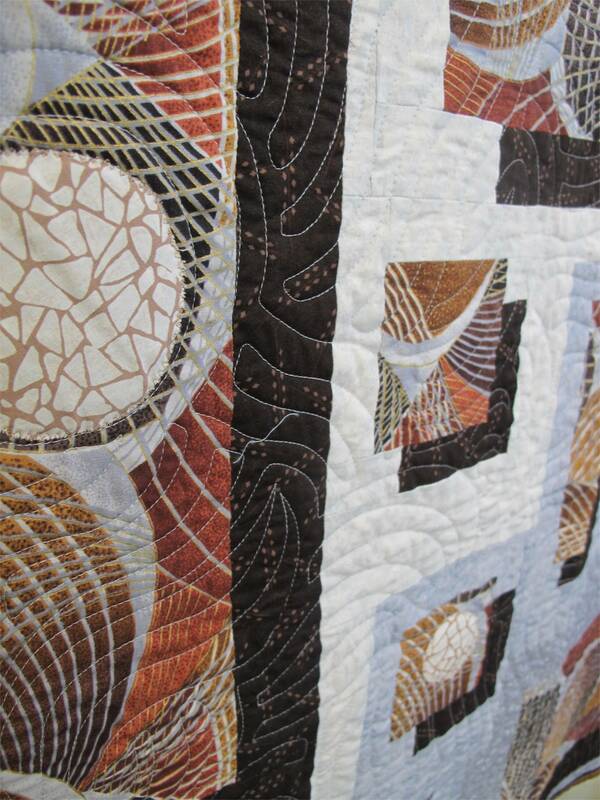 Tiffany and I met at Fall Quilt Market and talked about working on a project together. 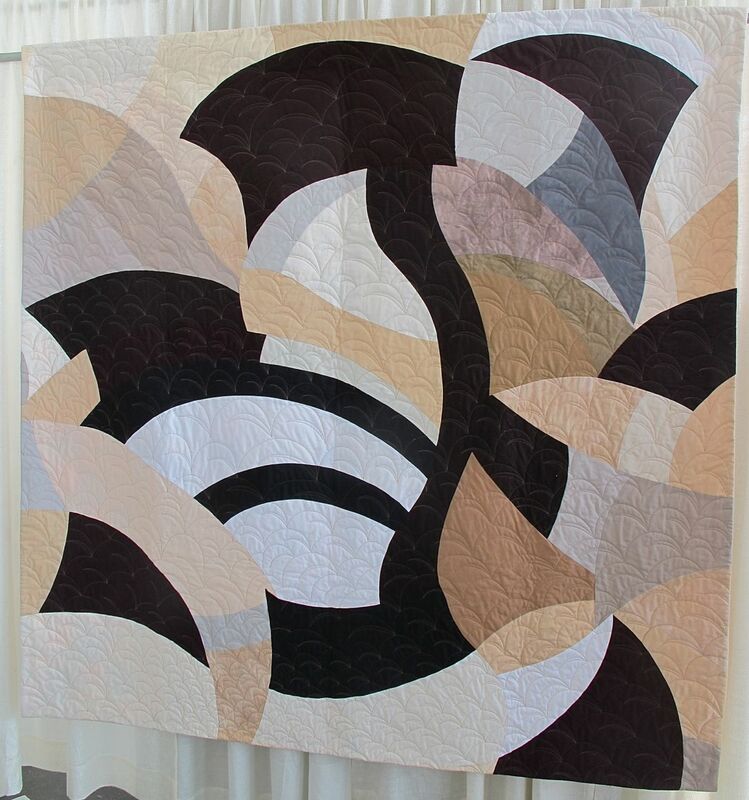 I was so happy to get my hands on this quilt for a day last week to take a good close look after it was displayed at spring Quilt Market. 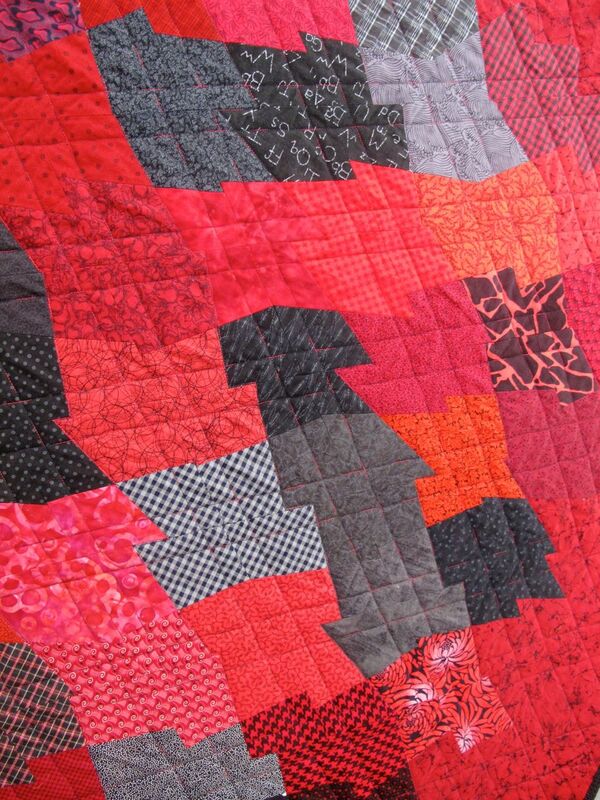 The design is so strong and works so well with Pop Rox. 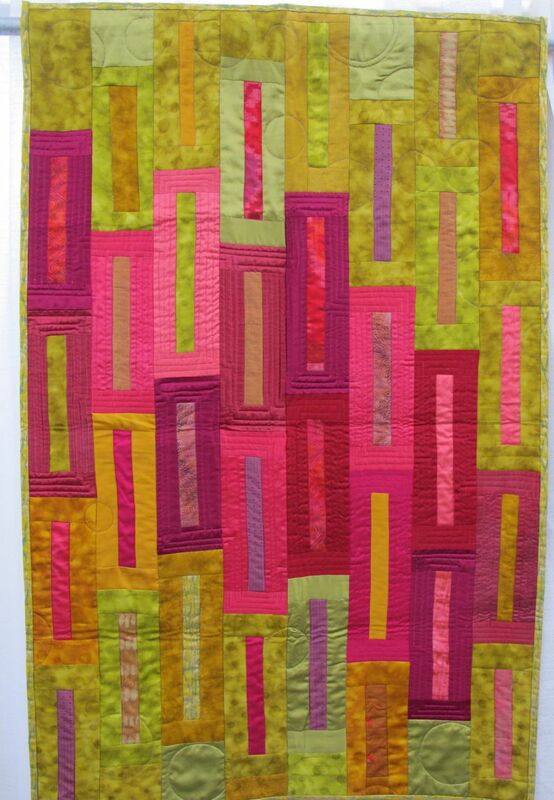 It’s different, and I think pretty versatile for lots of different kinds of fabric. 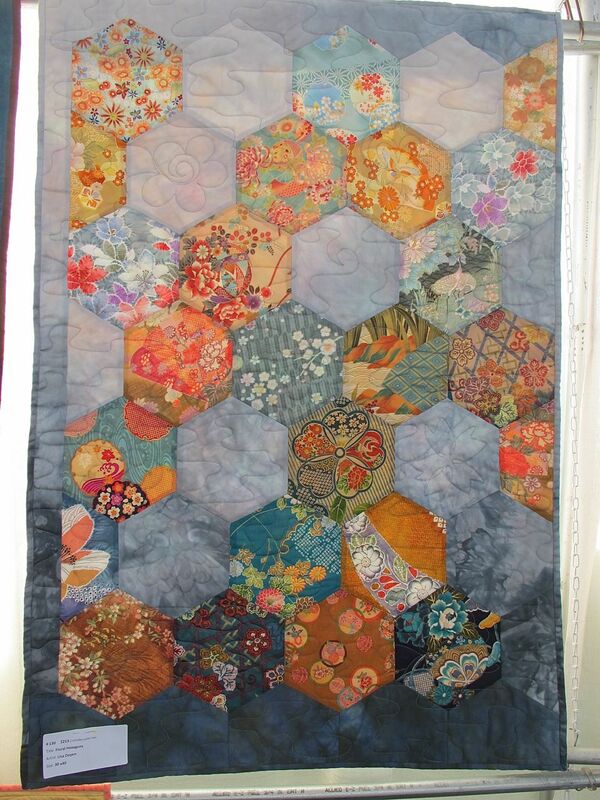 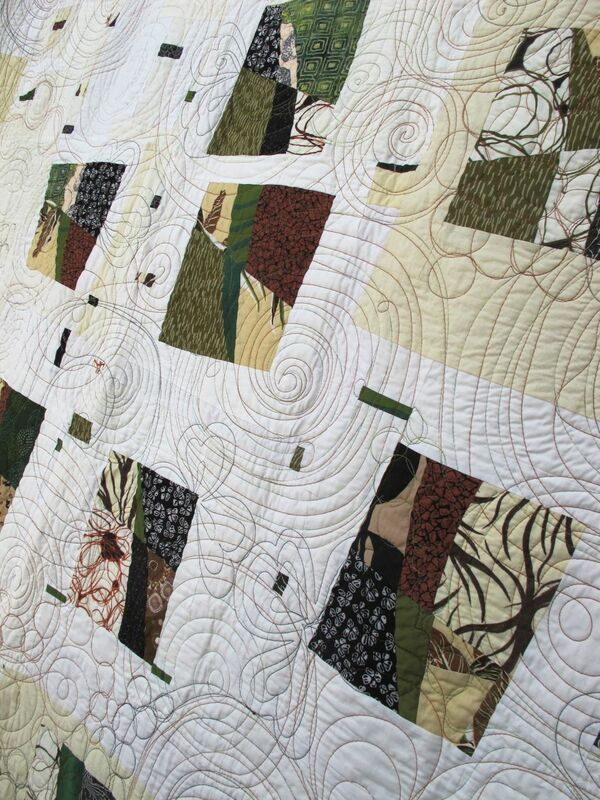 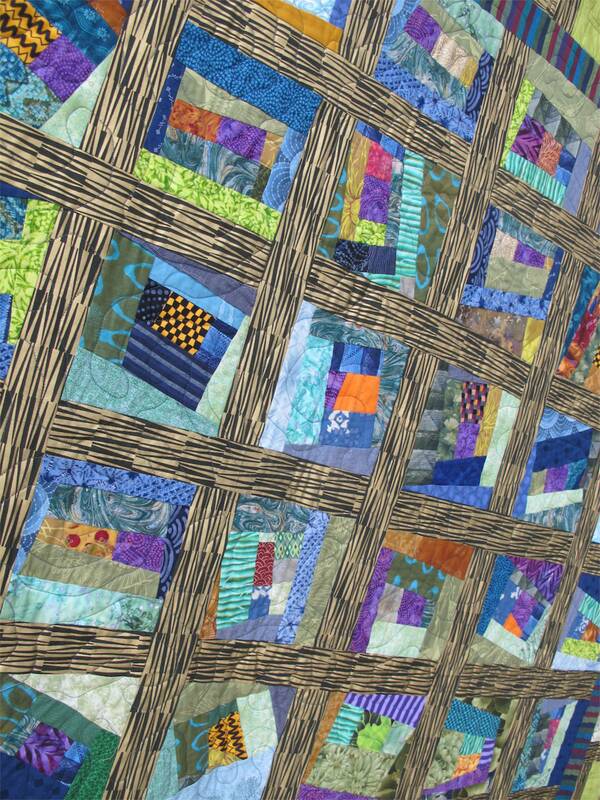 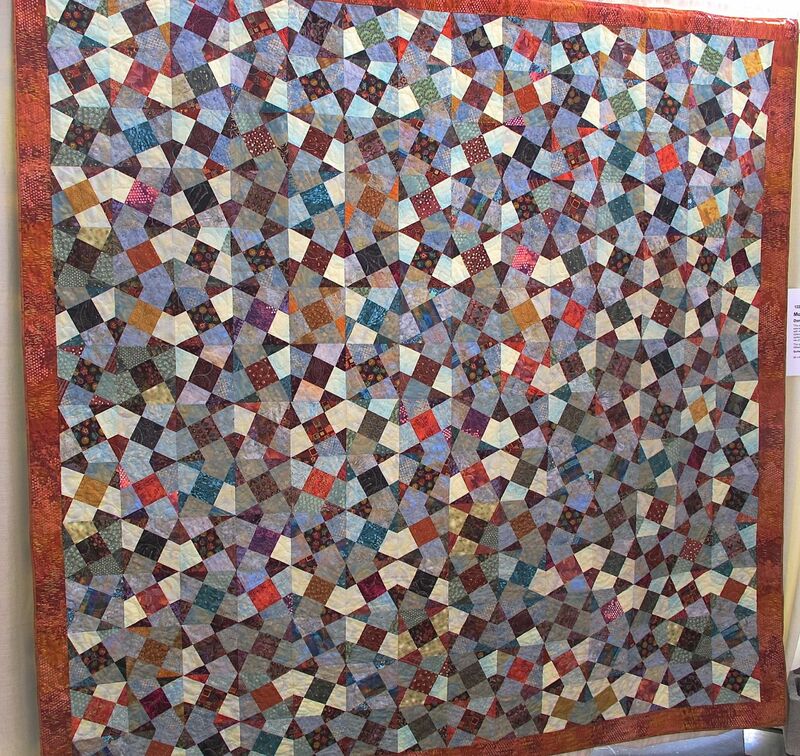 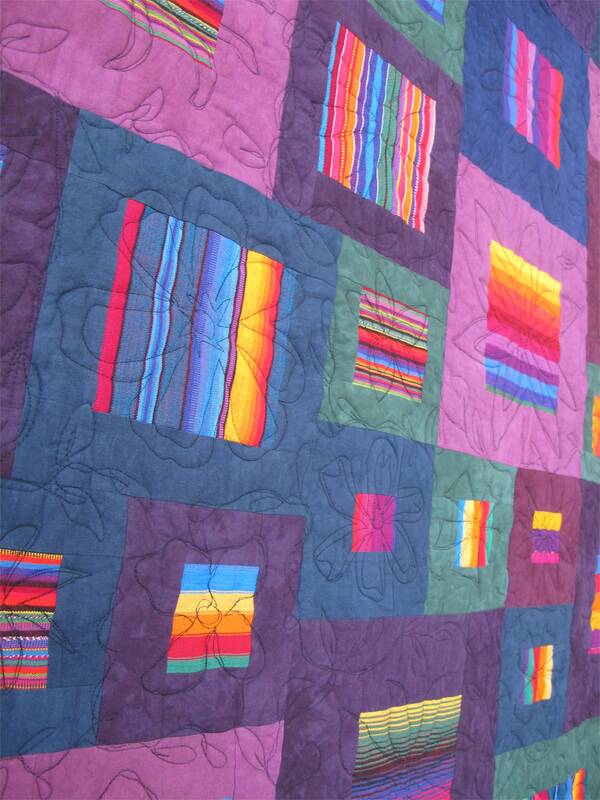 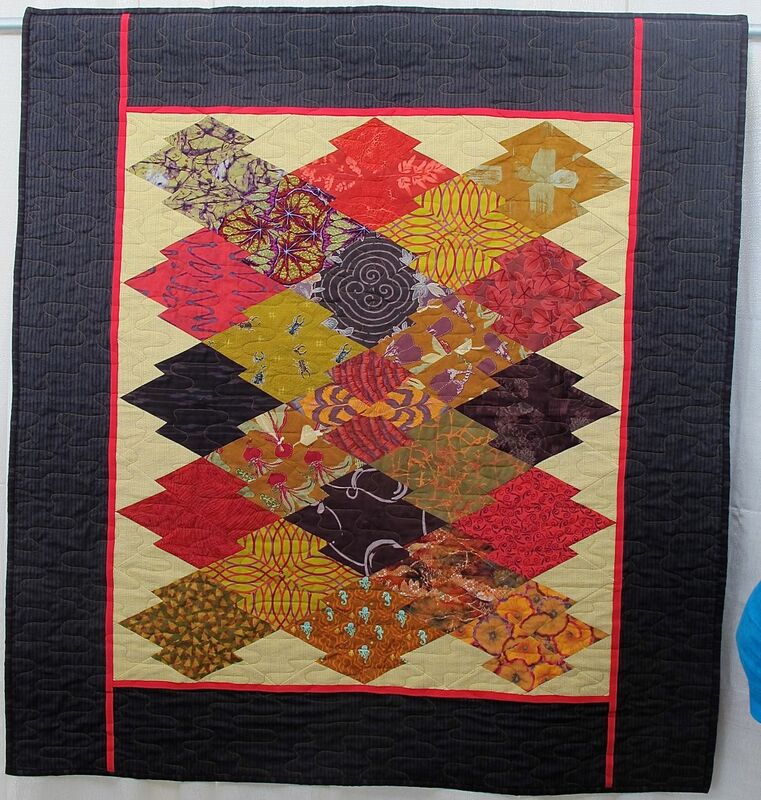 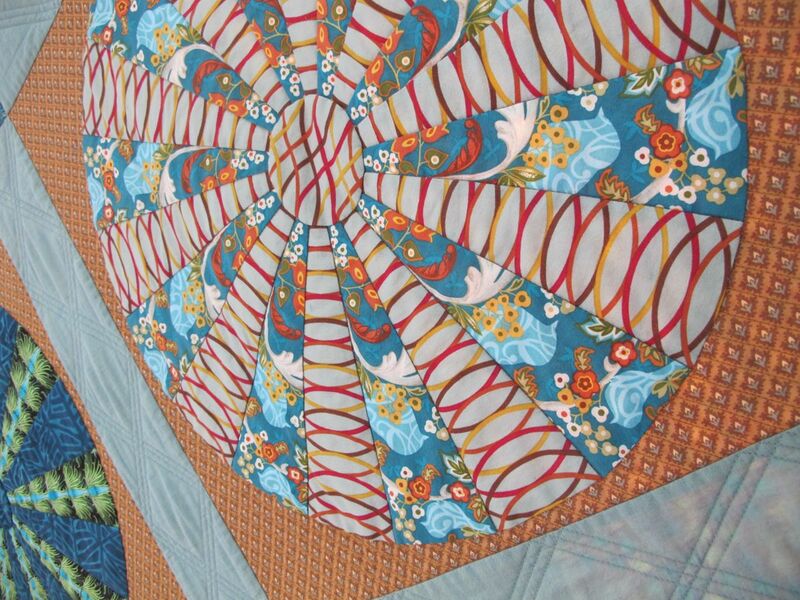 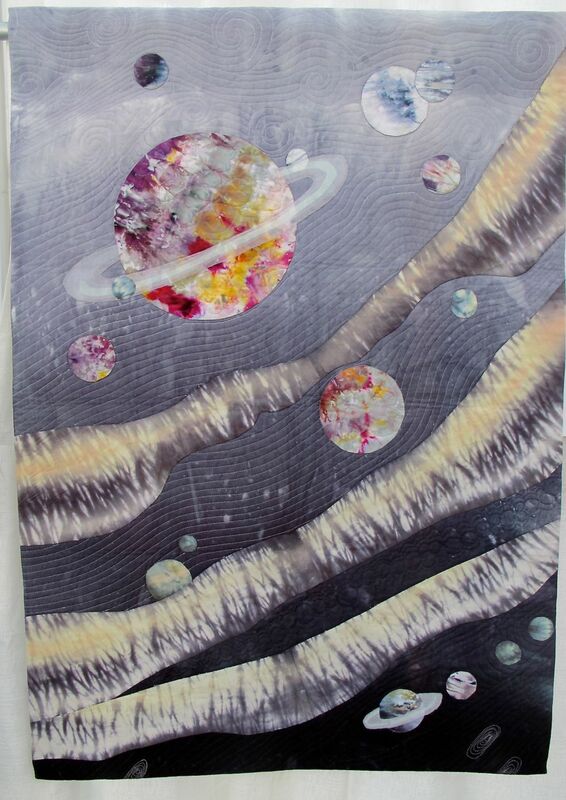 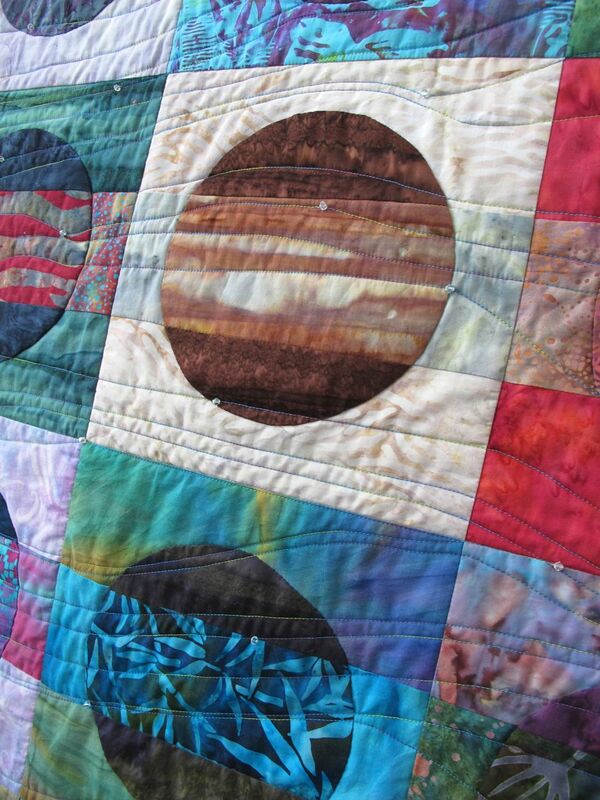 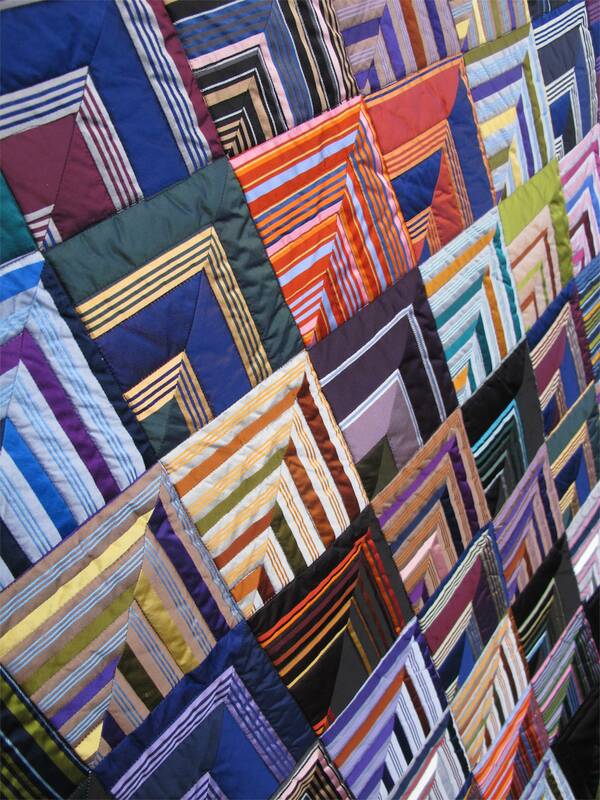 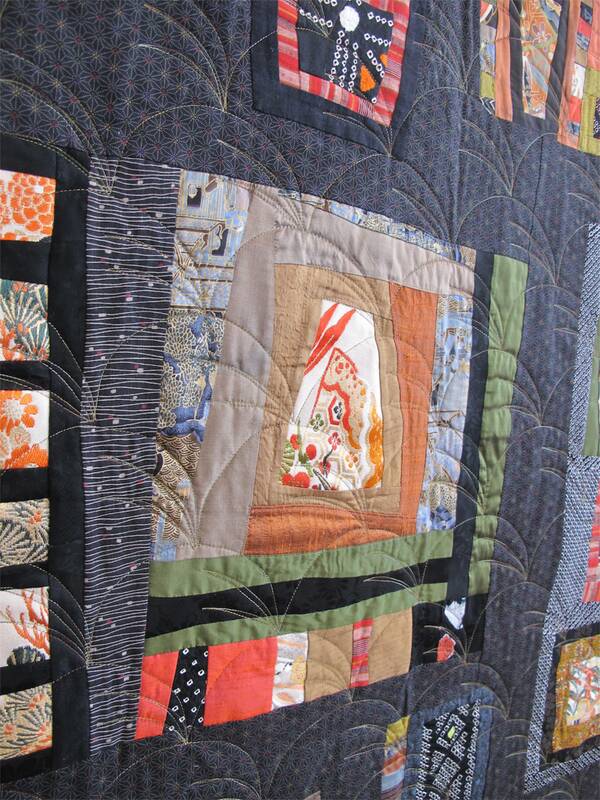 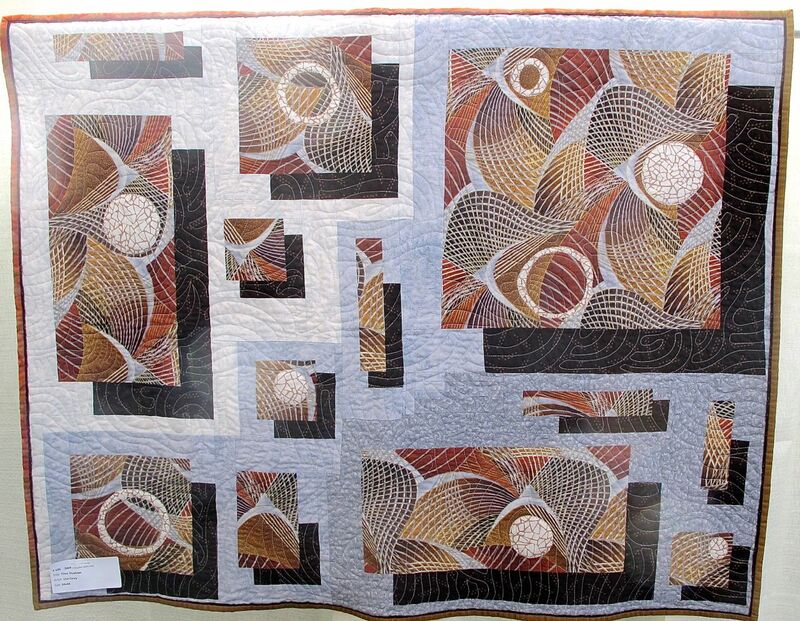 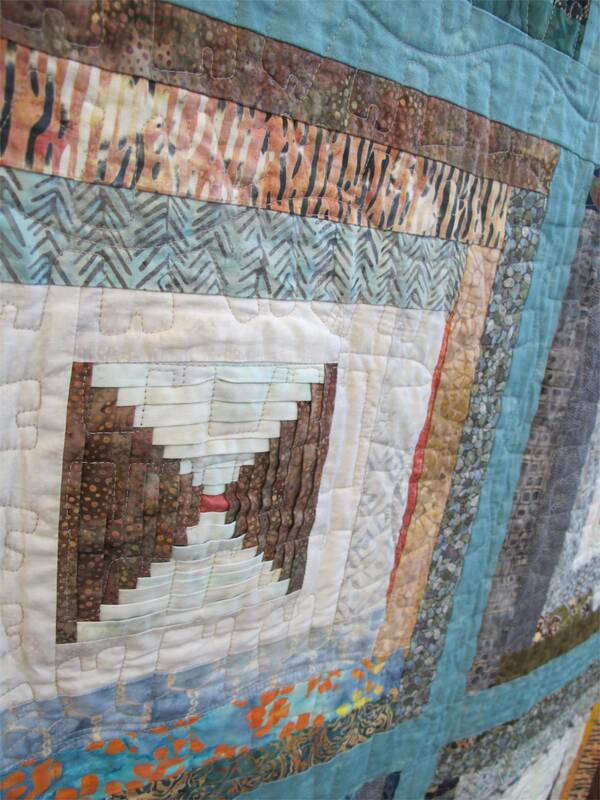 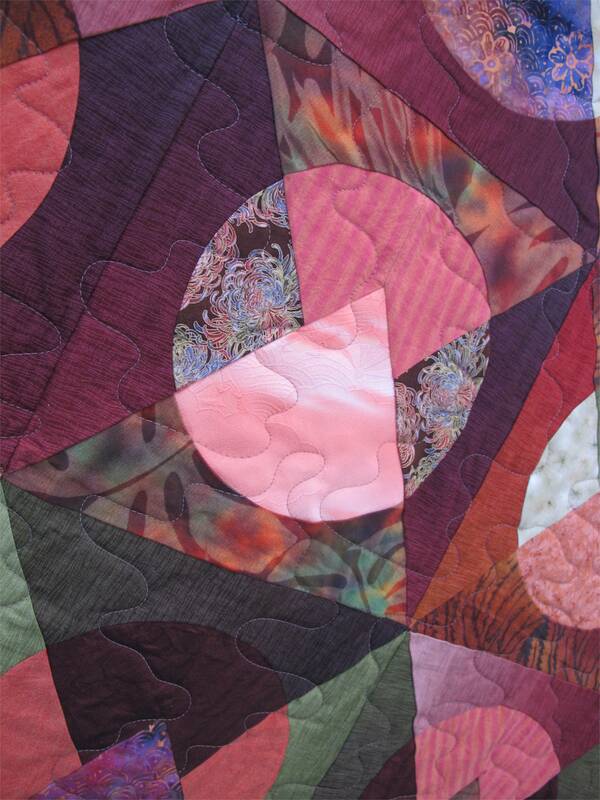 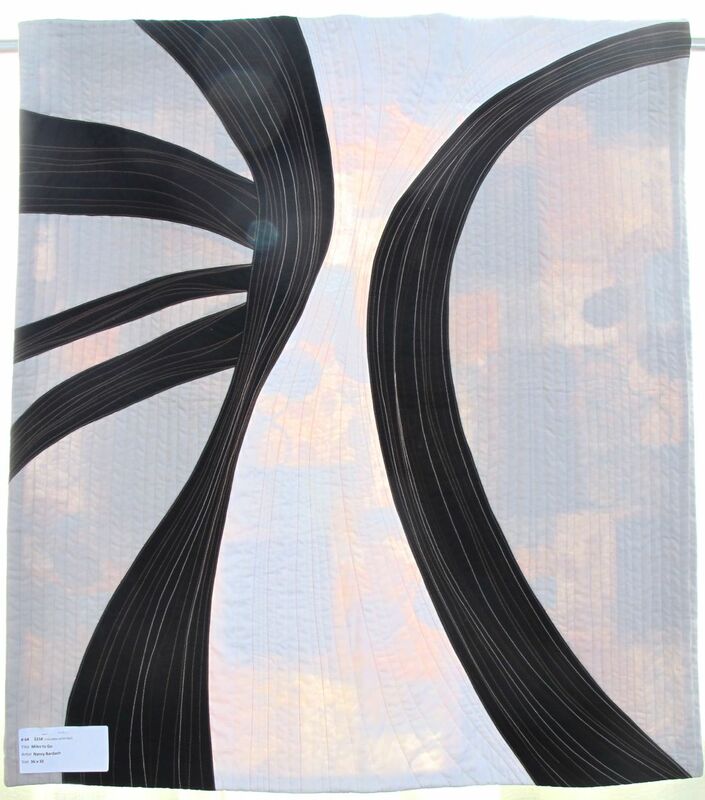 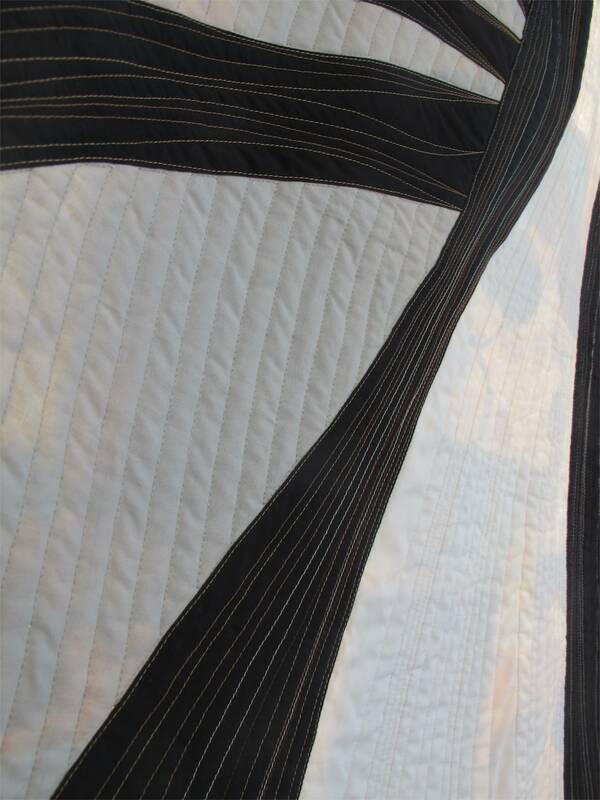 AND the quilting is amazing, done by Darla Hall. 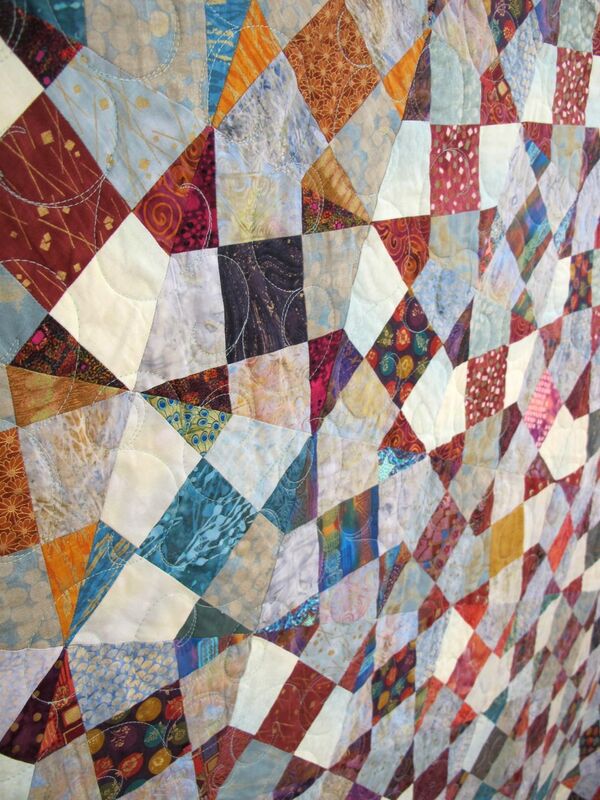 And after the pics of “Shattered” I picked some of Tiffany’s other patterns to show you. 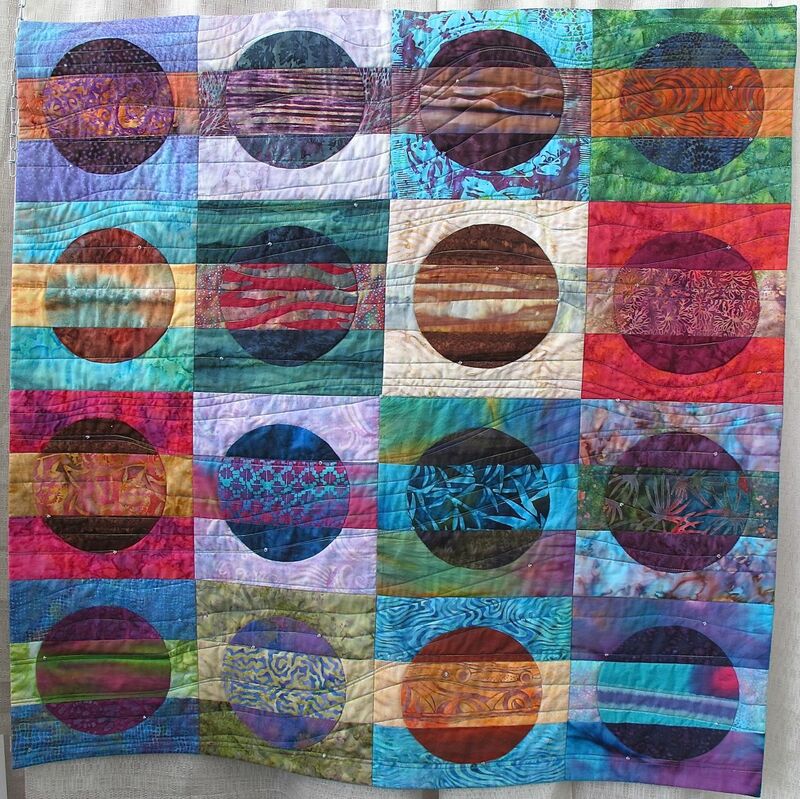 She is a designer, quilter, lecturer and teacher, and she works with several fabric companies designing patterns using their fabric lines. 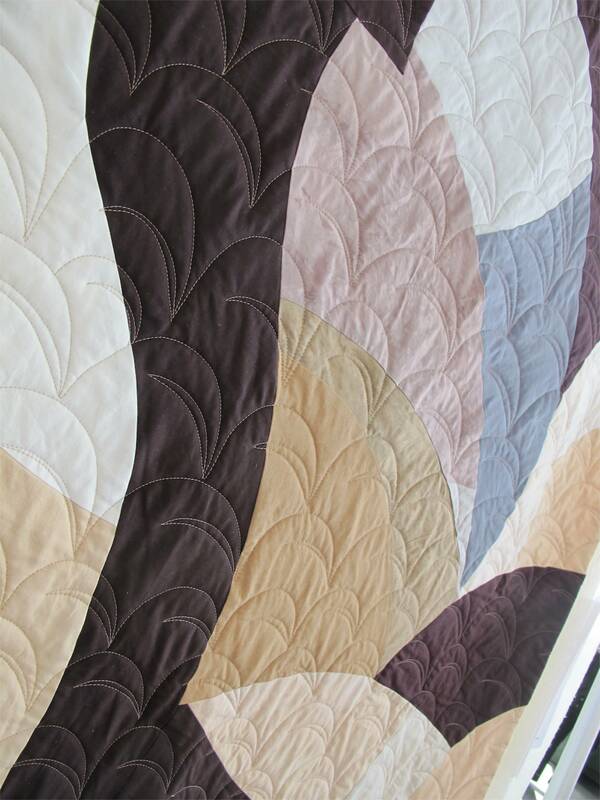 Tiffany also did a nice blog post about her projects at spring Market here. 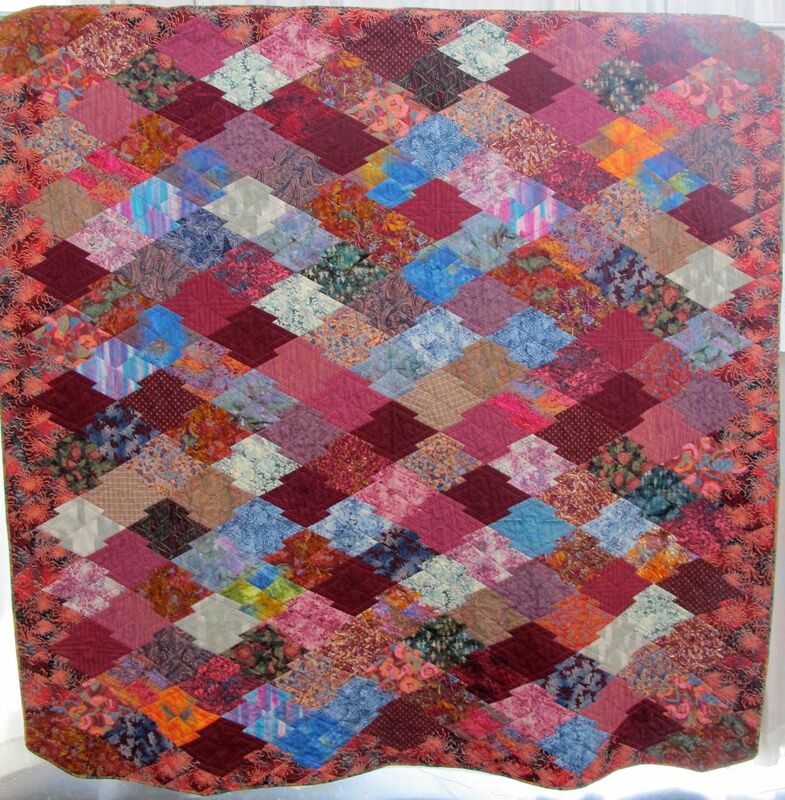 Just click on any picture to be taken right to the pattern! 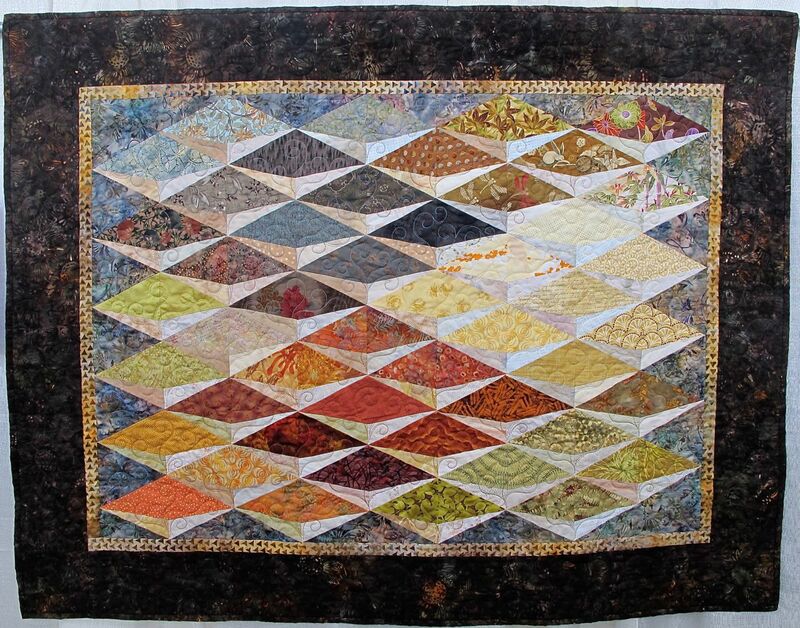 “Shattered” by Tiffany Hayes of Needle in a Hayes Stack using Pop Rox fabric by Carol Van Zandt for Andover Fabrics, Inc. 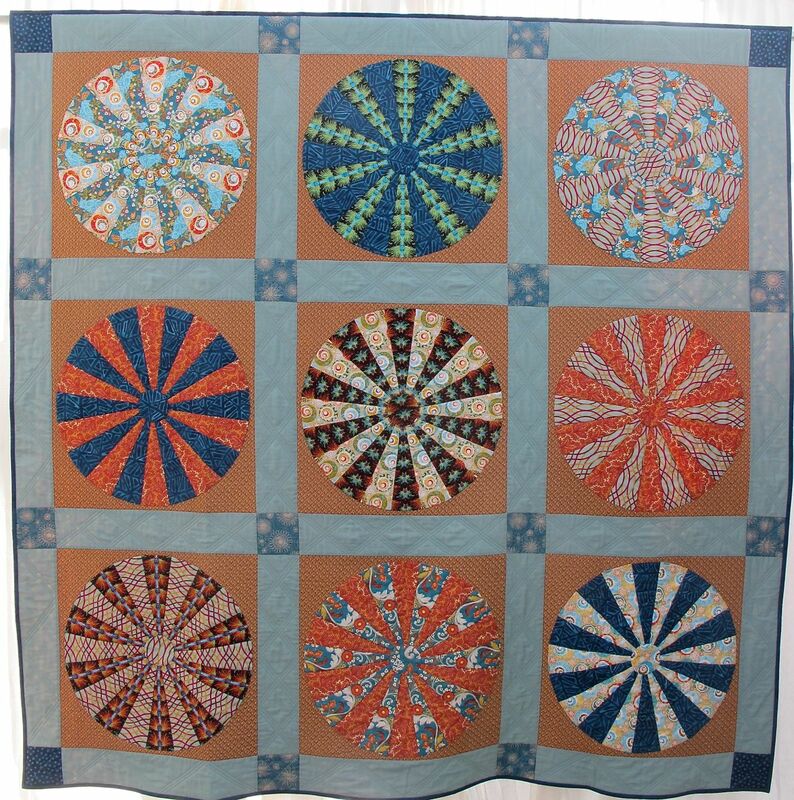 Continuing our Pop Rox round-up and spotlight on some amazing creative people who have played with Pop Rox, today we look at Patchwork Posse. 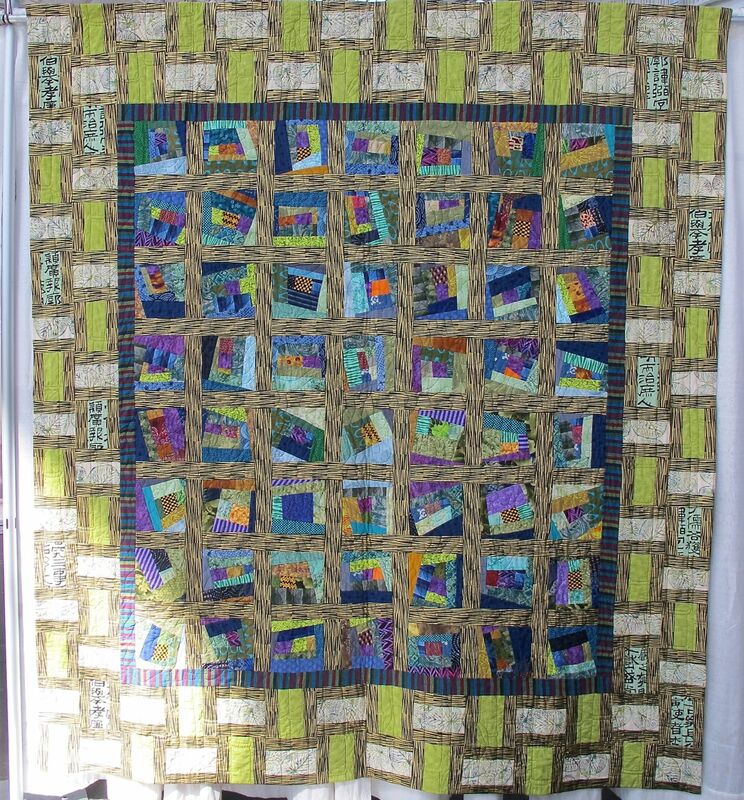 I met Becky several years ago at The Creative Connection Event where she was a panelist and participant. 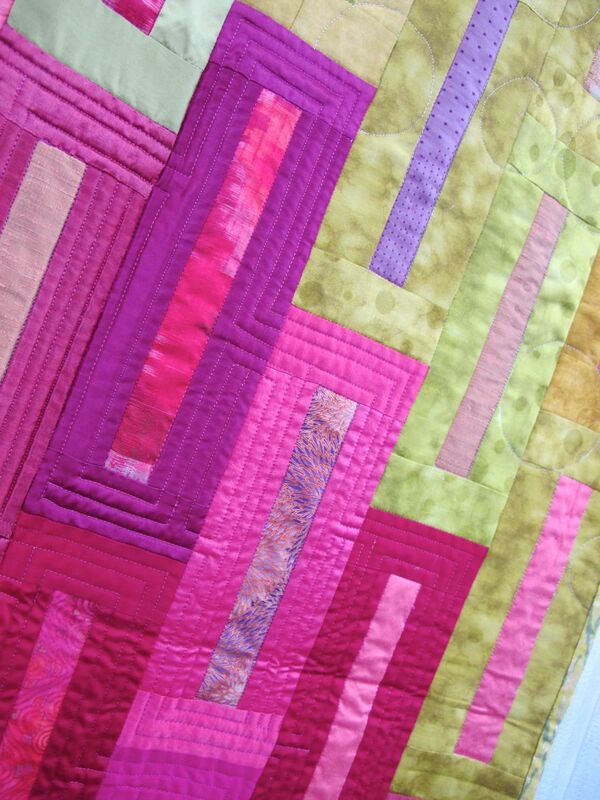 I have loved collaborating with her and see her creative business grow. 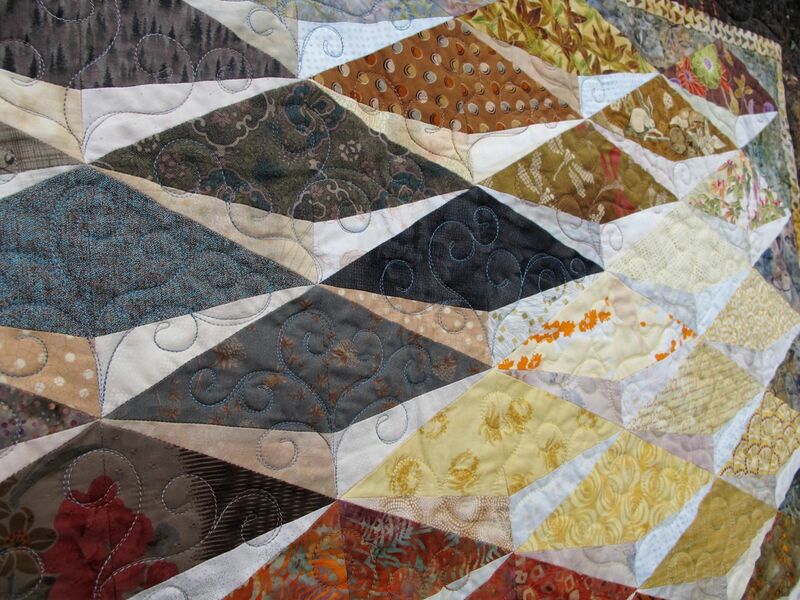 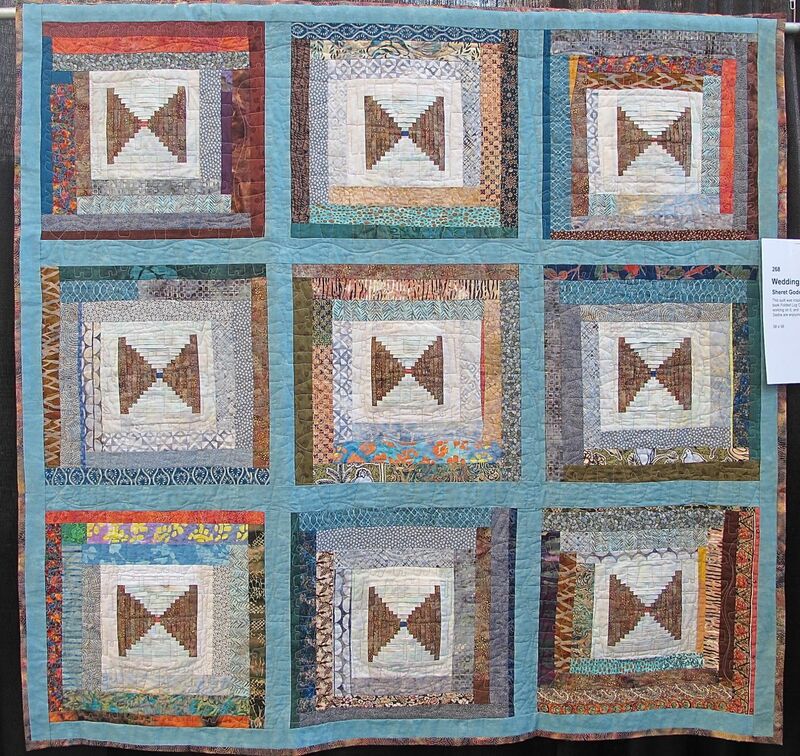 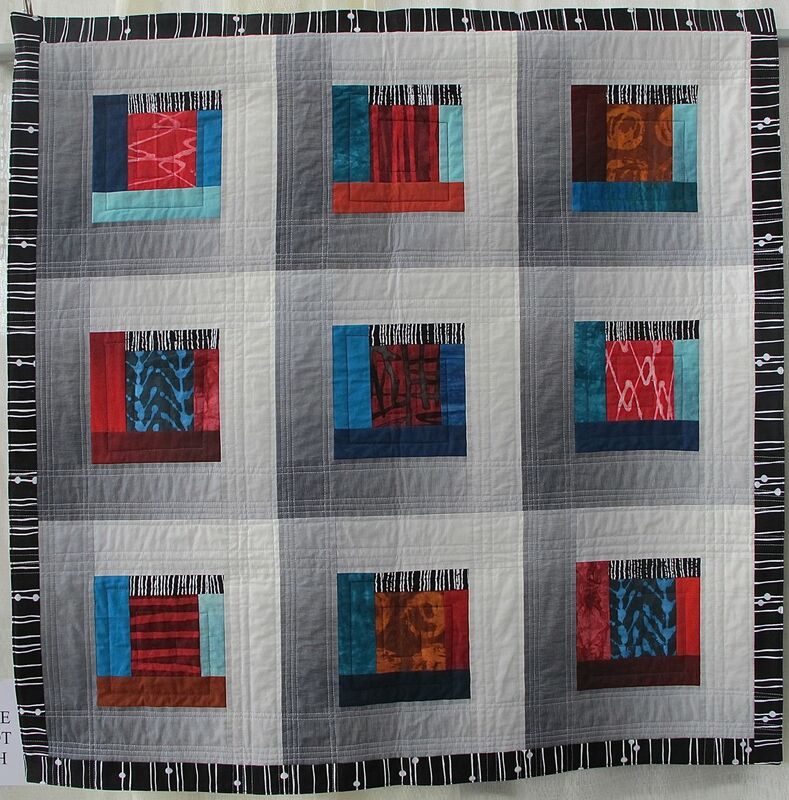 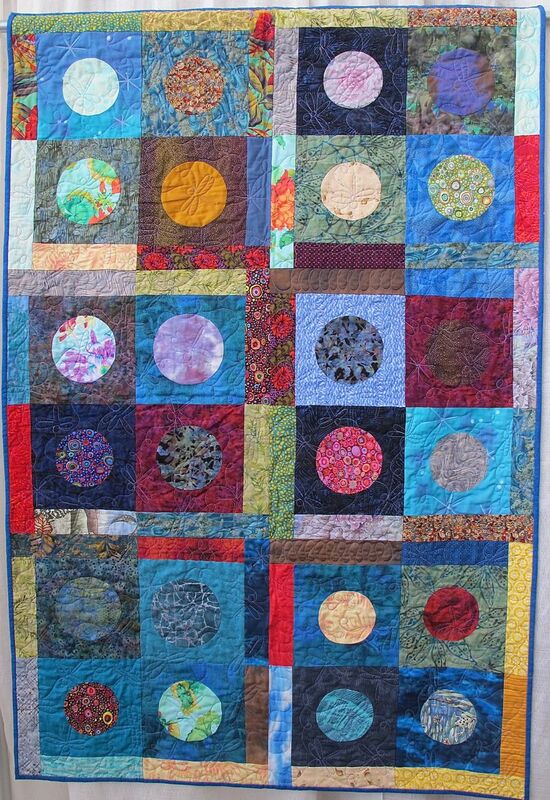 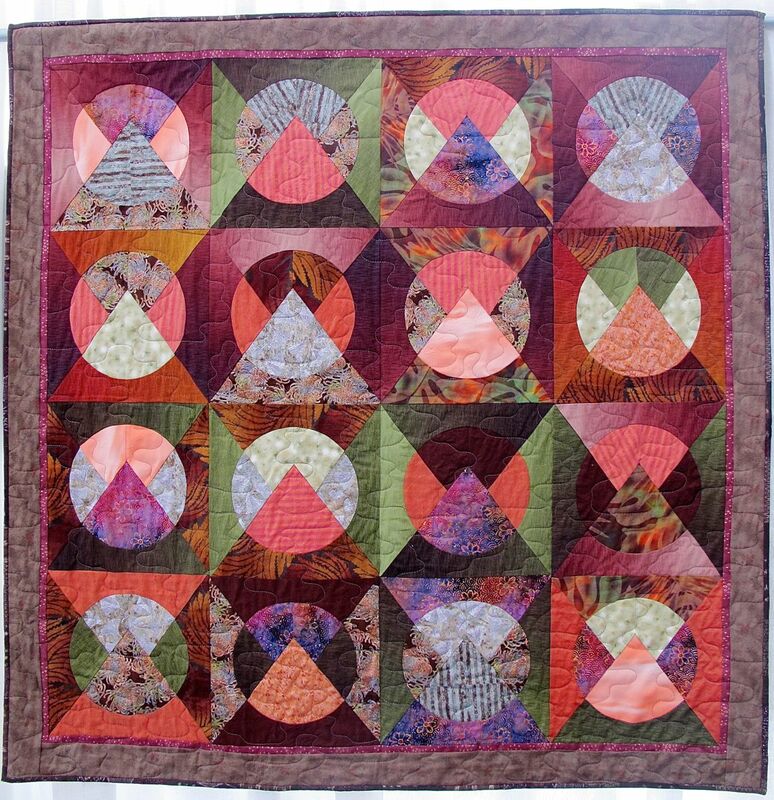 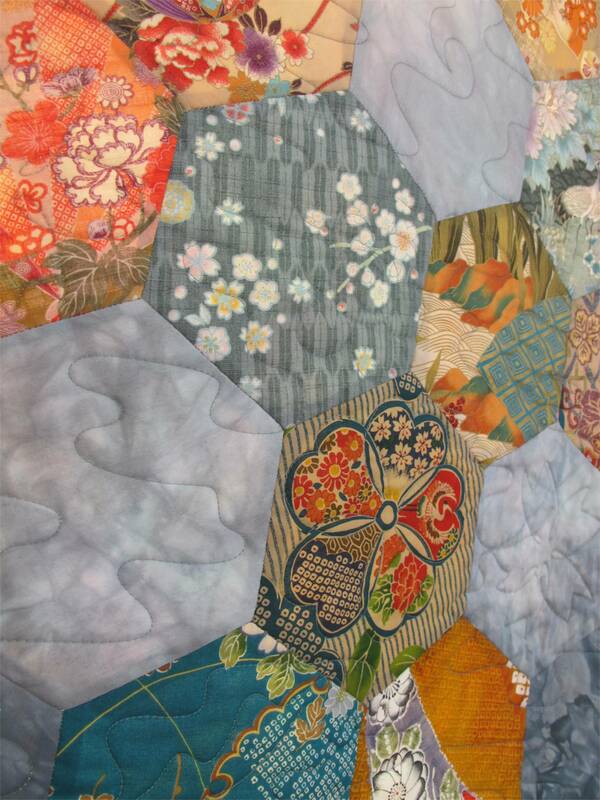 Not only will you find a plethora of great tutorials and patterns for quilts, bags, dolls and stuffed animals on her site Patchwork Posse, she also has a lot of fun things going on like quilt block round robins, and lots of free stuff! 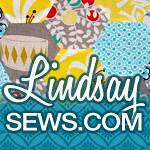 AND if you’re a plushie lover like Becky, you must check out her site PlushiePatterns.com where she collects and publishes plushie patterns. 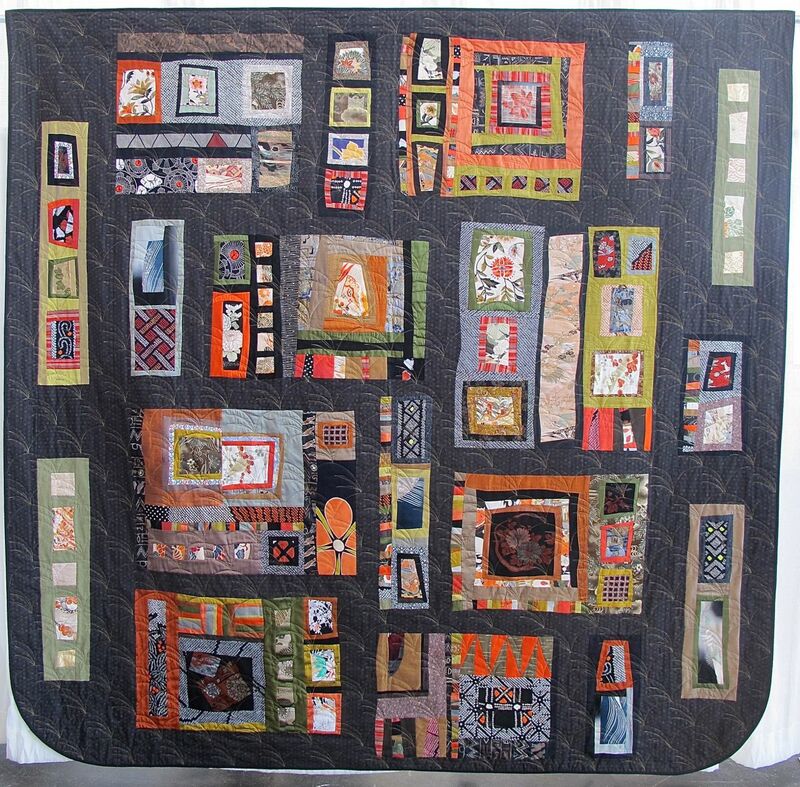 I think what really differentiates what you will find on Patchwork Posse is the sheer diversity and originality of the projects and tutorials, AND it’s so prolific. 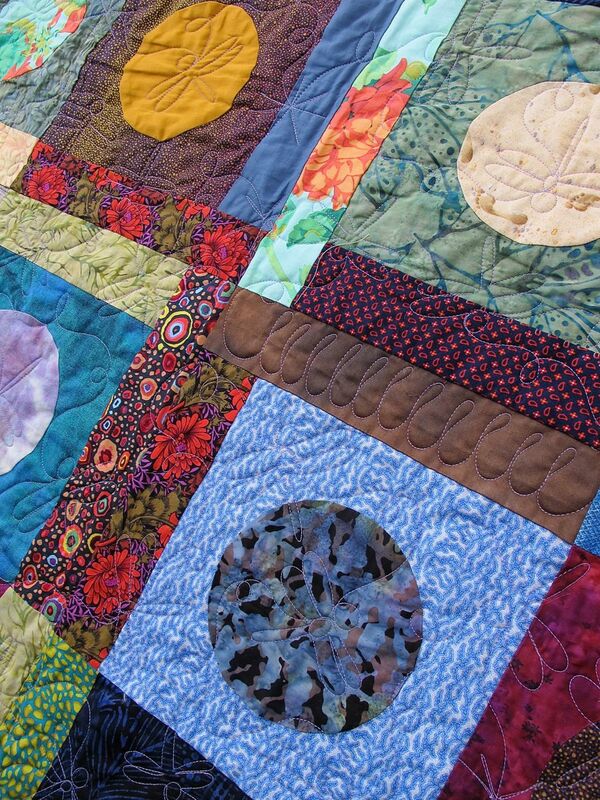 It is literally chock full of anything you would want to do or need to know. 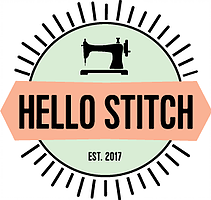 If you are looking for fresh ideas for small projects this is the place. 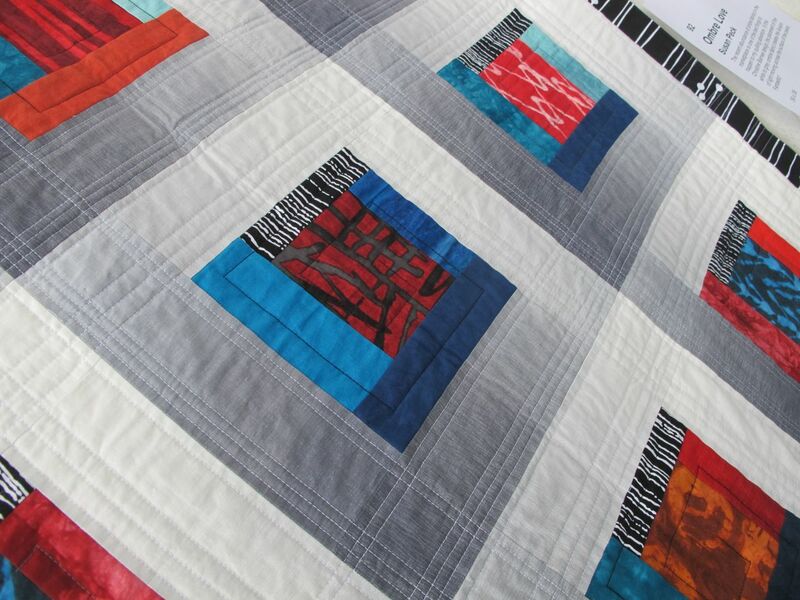 It’s one stop shopping–for quilting patterns, tips and tutorials AND sewing projects as well as appliqué and embroidery. 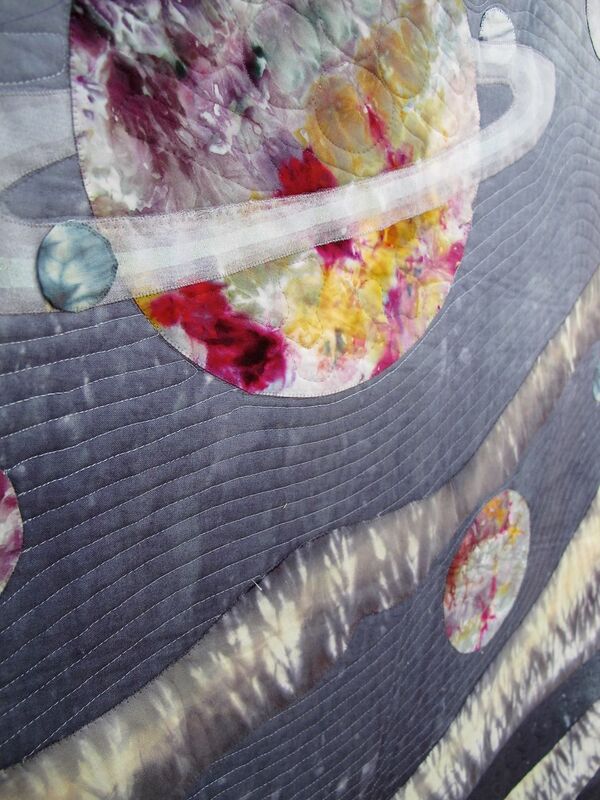 It’s kind of a magic place to visit if you own a sewing machine. 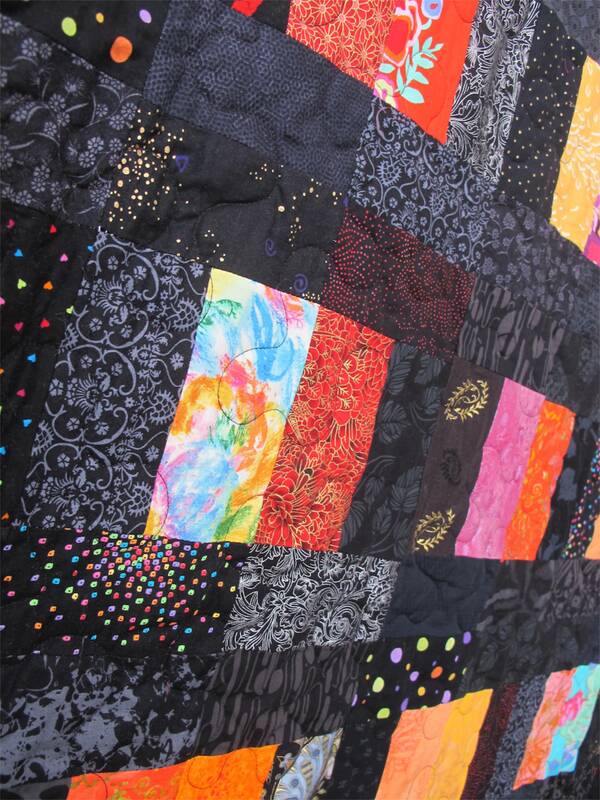 So, take a gander at project tutorials using Pop Rox on Patchwork Posse, plus of course I chose a number of other great projects and articles to show you so you can get a really good idea of the many flavors of Patchwork Posse. 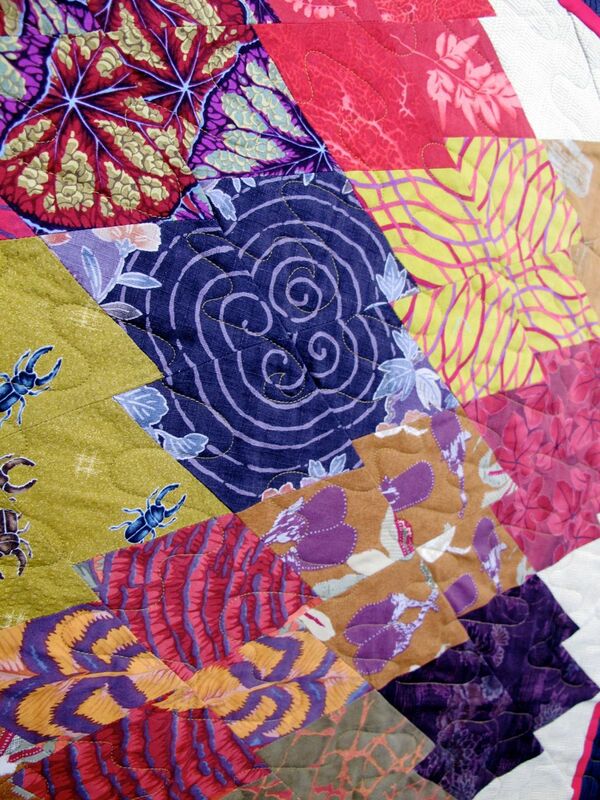 Have a wander over there!